Michael Corleone: [voiceover] My dear children: It is now better than several years since I moved to New York, and I haven't seen you as much as I would like to. I hope you will come to the ceremony of papal honors given for my charitable work. The only wealth in this world is children; more than all the money, power on earth, you are my treasure. Q: What is 'The Godfather III' about? Q: How many years have passed between 'The Godfather II' and 'The Godfather III'? 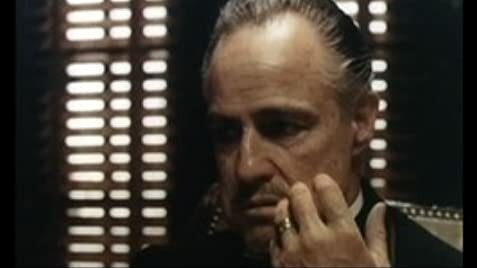 Q: In 'The Godfather', Sonny had at least two other kids. Where are they, why wouldn't they take over? I finally saw it ! As a total devotee of the two previous installments, I avoided seeing the third one, on purpose, people I respect had told me about the disappointment and, quite honestly, I didn't go there. Last night I did and surprise, surprise, it moved me no end. Maybe because I haven't seen the other two in four years. Yes at times is more Ken Russell than Francis Ford Coppola and in my book that's not a bad thing. I was, however, a bit taken aback by the healing in Pacino's Michael as far as Keaton's Kay is concerned. As it nothing had ever happened, while in Diane Keaton the memory of that pain is always present. Talia Shire is a lot of fun as a sort of Madame Sin. Raf Vallone, superb as the doomed Pope John Paul I and then a bit puzzling casting choices that I think they me code for something. George Hamilton, for instance, takes over from where Rubert Duvall left off. Helmut Berger plays the head of the Vatican Bank. Helmut Berger! Just as curious as to find Troy Donahue in The Godfather Part II - All in all, I'm really glad I've seen it and I'm sure I'll see it again.